Size: 13 1/2" x 11"
Description: This is a promotional item I picked up at the 2018 C2E2 from the Marvel booth. 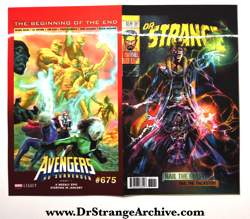 It is the lenticular cover for Dr. 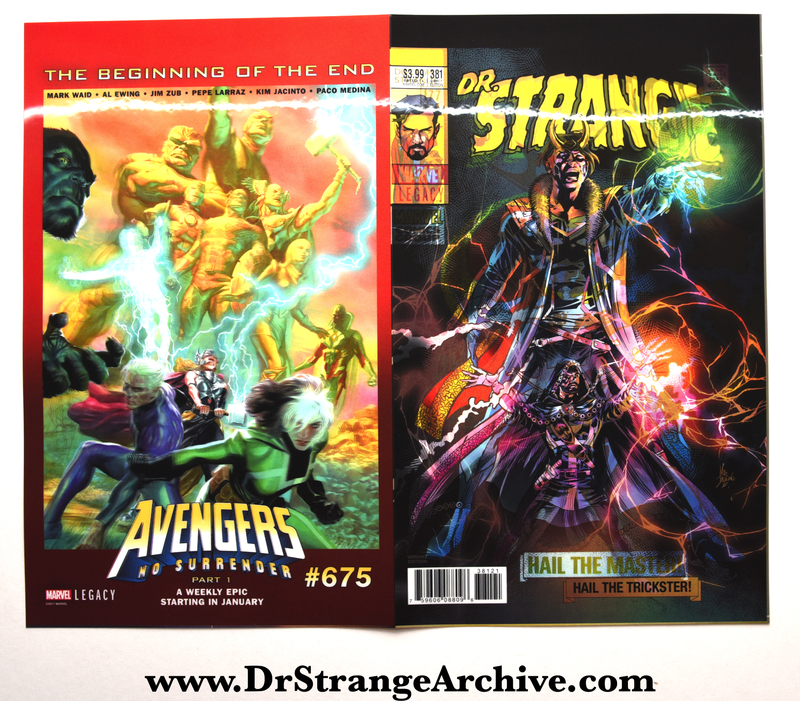 Strange #381 and an Avengers No Surrender #675 cover advertisement. On the back is a Marvel Legacy Homage Variant Checklist.